Wake up the family and get those running shoes on – we’ve compiled a list of family fun runs for the whole family this Spring season. While we know the days are still pretty short and the evenings are still long, with cloudy skies and colder nights, winter has come and… gone? We can’t believe it either, but with September just a few days away, it’s almost time for spring and we just can’t wait. With the sun out and flowers blooming, we thought we’d compile a list of enjoyable outdoor activities for the whole family, and what better way to kick off the season than with these exciting fun runs starting with the Moonlight Fun Run/Walk. The Irene Primary School’s Moonlight Fun Run is back and promises to be a fun-filled evening with lots of prizes to be won, including cash prizes, a weekend getaways to the African Pride Irene Country Lodge and a medal for everyone who participates. Entry: To ease registration you can enter online via Entry Time and by filling in an online entry form. You can also enter the lucky draw for all the amazing prizes up for grabs. For more information about these prizes and the event, visit the Moonlight Fun Run/Walk Facebook page. The Adrienne Hersch Randburg Harriers Challenge with Discovery Vitality invites runners, friends and families to stretch their legs for the scenic race on the beautiful Randburg hills. With a lovely market, VIP lounge and live entertainment waiting at the Randburg Harriers Sport Club, runners can kick back after the race and enjoy the festivities with the entire family. This is a great way to spend some quality time with family and friends, boost those discovery vitality points, potentially win R50 000 worth of prizes and collect a goodie bag just for entering, all the while supporting a good cause as a portion of the event’s proceeds will go to Operation Hunger. Entry: Entry fees vary per run. For more information about the event and to book your entry, visit the Discovery site, which also lists past and upcoming events in the series. With an artisan market, live music, a mobile massage station, Kids Zone, and of course lots and lots of prizes, we are excited to tell you about the launch of the Active Mom Family Fun Day. With trail runs, mountain bike races as well as a toddler and trikes race, we encourage you to get the whole family together for this event. The day kicks off at 07:00 for registration and goodie bag collections, with a briefing at 07:45 for races to start at 08:00. Entry: Entry fees vary per run. For more information about the event visit the Reel Mom Facebook page, and to book your tickets, visit Quicket. But hurry – early bird tickets are only running until 5 September! The famous Cape Town Gun Run is back for its 25th Anniversary! With a 21 000 runner-turnout last year, the massive event saw racers, their families and friends come out for the day to participate and cheer on their loved ones. And we can’t wait to see an even bigger turnout this year! Venue: The race starts from Beach Road, Mouille Point. Entry: To enter and for more information about the event visit the Gun Run’s website. 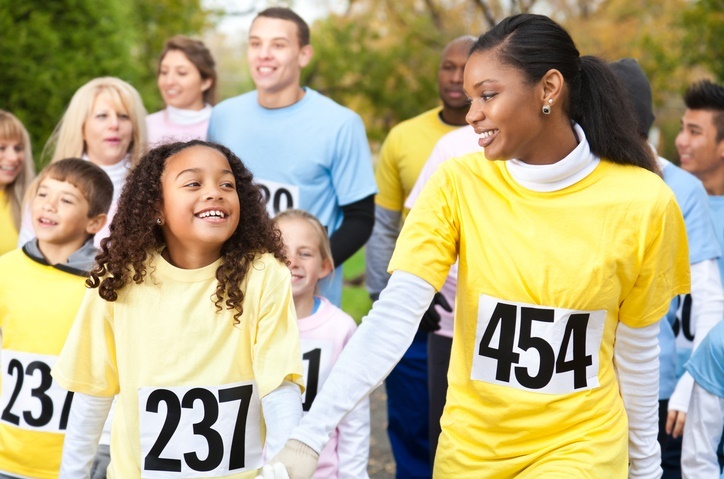 Do you know of any other upcoming family fun runs we can add to the list? Tell us by emailing to chatback@parent24.com.